Goji Berry is known in Bulgaria as wolfberry and lycium berries. The fruit originates from the Tibetan Himalayas and northern China, where they are called "red diamonds" because of their beneficial characteristics. In the chemical composition of goji are included 18 essential amino acids, as well as a number of vital micro elements - phosphorus, zinc, calcium, iron, copper, potassium, magnesium, sodium and selenium. In terms of vitamins, goji berry combines vitamins B1, B2, B6, A, E, C.
in lycium are approximately 500 times more than in oranges. 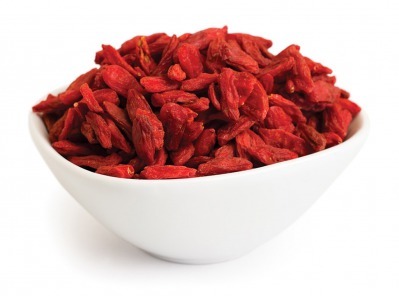 All this makes goji berry literally a bomb of vitamins, minerals and antioxidants. One of the most characteristic features of this fruit are regulation and improvement of immune system, greatly slowing the tissues aging process. Goji berry is a good adaptogen, i.e. has a general therapeutic effect on the human body, strengthens the body and helps it deal better with stressful conditions.